Portugal 1-3 Serbia Ricardinho scored a goal for the ages but two late strikes earn the hosts, and their record crowd, victory and Group A first place. 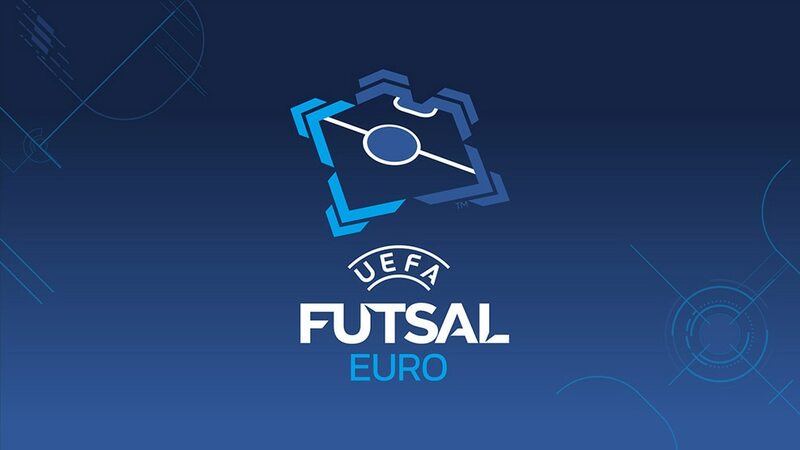 Slobodan Rajčević and Miloš Simić scored in the final four minutes to give hosts Serbia UEFA Futsal EURO 2016 Group A first place, meaning they play Ukraine rather in the quarter-finals. Portugal will take on Spain despite a quite stunning goal from Ricardinho. Portugal started the better but the crowd were sent into raptures when Mladen Kocić showed some nifty footwork then shot. However, Ricardinho turned the fans' boos into an ovation when he flicked the ball up above Marko Pršić and half-volleyed in for one of the finest goals this competition has ever seen. Either side could have won it after the break, but it was the 11,161 fans roaring on Serbia who were able to celebrate late on. It seemed the headlines would all be about Ricardinho but Serbia, inspired by a crowd brimming with passion, won in the end. The fans even paused from booing Ricardinho to give him an ovation after his goal; the atmosphere will be hot on Monday. He scored his 100th Portugal goal with a back-heel in his hat-trick against Slovenia on Thursday but somehow that was not enough for 'the Magician'. Almost as soon as he had scored today, his name was trending on social media. Can he lead Portugal all the way through the knockouts to a first title? First up Serbia take on Ukraine and then the giants of this competition, Spain, are the opponents for Portugal, and Ricardinho, on what is sure to be another sell-out occasion. With all emotions in my head now, it is hard to say anything appropriate. I am especially proud for my lads and for all this crowd here. I have to congratulate Portugal, they are still one of the best European teams. You have seen what the magician Ricardinho did for an equaliser. But you have seen our magicians too, did you? After my many, many years in futsal, here might be finally the time to get to that long-awaited semi-final. I said to my lads that this must be their evening, their careers are growing with these kind of matches. It was a one-way game [for Portugal]. A very good start, we continued the good start in the first half and we did most of the time in second half. We were organised, made goal opportunities one after , but Serbia waited until our mistake. They were patient, they were waiting for it. Even then we tried to correct that mistake, we had some chances to correct it but it seems some magic from Ricardinho was the only way to score. Slovenia 2-6 PortugalRicardinho's hat-trick including a sly back-heel takes Portugal and Serbia through and eliminates Slovenia.